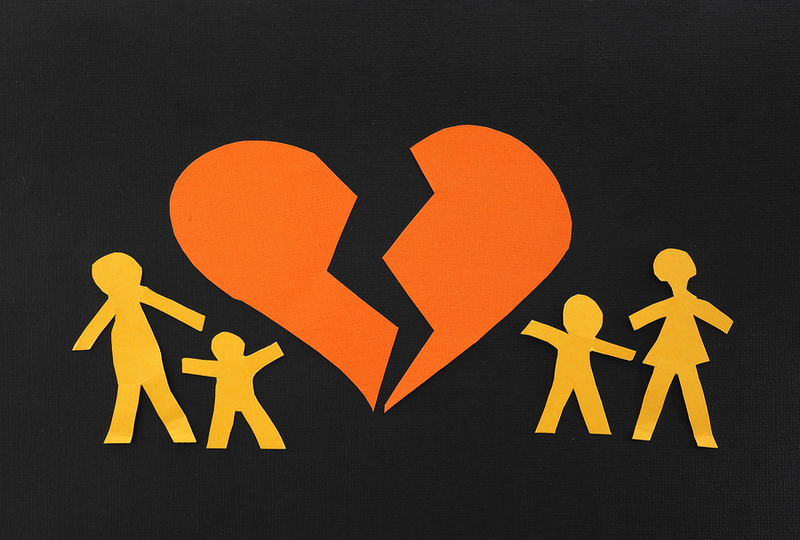 Divorcing parents face a myriad of child custody decisions. Will they share joint physical custody? Will one parent have sole custody and the other visitation? What are the arrangements for important medical or education decisions? Will they be joint decisions or will one parent be the decision-maker? When sharing custody, what's the best way to organize the parenting time? The main types of custody are legal, joint, physical and sole custody. Usually parents decide how they want to organize custody with no involvement from the courts. However there are times when parents can't come to an agreement and it is up to a Judge to decide how custody is divided between the parents. In this article we will look at the different types of child custody. Hopefully this will enable you to better understand the options and make more informed choices. Sole Legal Custody: If you have sole legal custody as a parent, you are the only person who has the legal authority to make major decisions about your children. Examples of these decisions include where your children will go to school, the type of education, religion, and medical/health decisions. • isn't involved in the child's day-to-day life and doesn't spend time with the child. Joint Legal Custody: Joint legal custody is when both parents have the legal authority to make major decisions for the child. It is possible for parents to share "joint legal custody" without having "joint physical custody." Joint legal custody can take many forms. Just as in an intact marriage, it's not uncommon for one parent to be the primary caregiver. The same can be true after divorce even if the parents have joint legal custody. For example, a parent who is the primary caregiver might make many decisions that are part of legal custody. This includes decisions such as authorizing routine or emergency medical treatment, or choosing a tutor for a child who needs academic help. It's up to the parents to decide how to make this work as a practical matter and what's best for their children and their family. Physical custody means that a parent has the right to have a child live with him or her. It is also referred to as "residential custody." Where the child lives primarily with one parent and has visitation with the other, generally the parent with whom the child primarily lives (called the "custodial" parent) will have sole or primary physical custody, and the other parent (the non-custodial parent) will have the right to visitation or parenting time with his or her children. The most common types of physical custody are sole physical custody and joint physical custody. Sole Physical Custody: This means your children physically reside with one parent. In most cases, the non-custodial parent has significant visitation rights that include sleepovers. Joint Physical Custody: Also known as "Shared Custody," "Shared Parenting," or "Dual Residence." This is when children live with one parent for some of the time, and live with the other parent for the rest of the time. The time spent with each parent is approximately equal. There is also a less common custody arrangement known as "Bird's Nest Custody". This is where children remain in the same home and the parents rotate in and out of the children's home. With this option, children do not need to keep moving between homes and they get to live in one place. Parent-child visitation is the term used for parents who do not have physical custody to see their children on a regular basis. "Visitation" is increasingly referred to as "Parenting Time". The term "visitation" has become quite controversial. Many parents feel that the time that they spend with their kids isn't a "visit". It is time that they spend parenting the children just as the custodial parent does. It makes sense, as non-custodial parents are indeed parents, not visitors with their children. Unsupervised Visitation: This is the most common type of visitation. Parents can take their children to their own homes or take their children out somewhere during their scheduled visitation. Sometimes limitations are put in place for unsupervised visitation. For example, a non-custodial parent may visit his infant child at the mother's home if the child is still nursing and not yet ready to take a bottle. Supervised visitation: Supervised visitation means that another responsible adult must be present for the duration of the visit with the non-custodial parent. Depending on the circumstances, the courts may allow the non-custodial parent to select an individual to serve as the supervisor - such as a grandparent. In other cases, the parent and child must meet at specified location so that an appointed social worker or court-appointed designee can supervise the visit. Virtual visitation: Virtual visitation usually takes place online. It includes video calls, instant messaging, and email. Whichever option you decide to take, we advocate for you to co-parent in a way that is always in the best interests of the child. To never ask children to choose sides. To protect them from conflict and give them the chance to have a loving relationship with both parents.